We can provide you with a Free of Charge Survey to determine whether your lift installation meets the current Equality Act requirements. From 1st October 2010, the Equality Act replaced most of the DDA. However, the Disability Duty continues to apply. 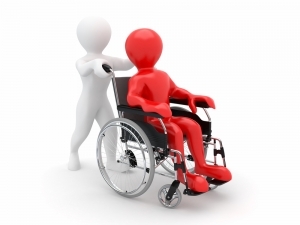 The Equality Act 2010 aims to protect disabled people and prevent disability discrimination. Since 1st October 1999 service providers have had to make ‘reasonable adjustments’ for disabled people, such as providing extra help or making changes to the way they provide their services. With this in mind we have listed below just some of the requirements your lift installation may need to adhere to in order to comply with the above Equality Act. Lift doors should be fitted with a non-contact detector system to prevent passenger collision. Lift car and landing buttons need to be between a specified height from the floor. All lift car and landing buttons need to be tactile. The lift car interior needs to be fitted with a handrail of a specified width and diameter. An audible announcement of lift arrival, doors opening, etc. Direct communication from lift car to the appropriate service (lift contractor) via activation of the emergency button.